Newmont Gold announced on January 14 that it was acquiring Goldcorp Inc. for $10 billion. The merger would create the world's largest gold producer. Consolidation in the industry further picked up steam at the senior level after Barrick Gold acquired Randgold in a deal that closed earlier this year, and Pan American Silver Corp., the world's second-largest primary silver producer, announced the acquisition of Tahoe Resources. This consolidation dovetails with an urgent need to reverse a declining trend in reserves. Goldcorp noted in its November corporate presentation that industry-wide, attributable gold reserves have declined 50% in the past five years. The Barrick-Randgold merger gives the new company 78 million ounces of proven and probable gold reserves. The Pan American-Tahoe combination doubles the company's silver reserve base to 576 million ounces. Exploration and development companies are also on the acquisition list for these major and mid-tier miners. Smaller mergers in this space saw many Nevada resource companies acquired last year, as Nevada continues to be a highly sought after jurisdiction. Hecla Mining bought Klondex Mines for its high-grade Fire Creek, Midas and Hollister mines, and Alio Gold gained control of the Florida Canyon mine when it took over Rye Patch Gold Corp.
Nevada is home to massive gold mines: Barrick Gold's Cortez Gold Mine and Goldstrike Mine each produce over 1 million ounces of gold a year, and Newmont Mining's Carlin Operations aren't far behind. Gold projects in Nevada are commanding top dollar. Hecla Mining paid $426 million for Klondex Mines, the Alio Gold Rye Patch deal was valued at $128 million and Coeur Mining took over Northern Empire at the cost of $90 million. American Pacific Mining Corp.'s (USGD:CSE; USGDF:OTC) emerged from Novo Resources Corp. (NVO:TSX.V) in 2017. Novo had one of the top gold discoveries of 2017 at its Karratha gold project in Western Australia. This was the first indication that Novo's well-respected geologist, Dr. Quinton Hennigh, and his theory of a massive field of gold nuggets in Western Australia may be proven correct. With Novo's focus steadily on its Australian discovery, it optioned its Nevada property to American Pacific. "American Pacific Mining was founded to advance one of Nevada's most promising projects, offering a once in a lifetime opportunity," CEO Warwick Smith noted. 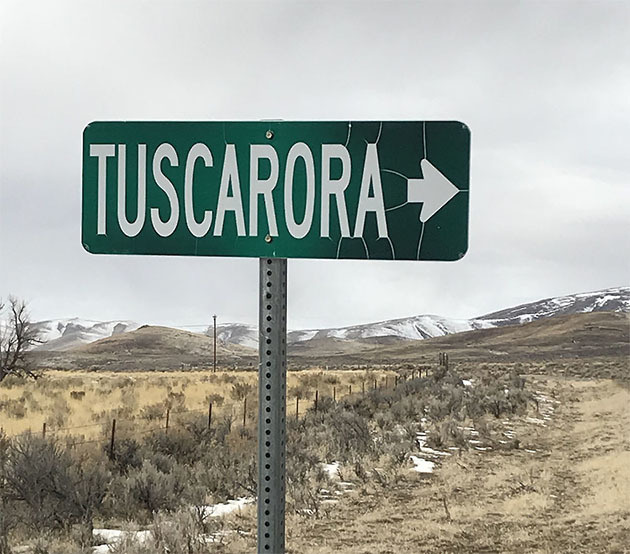 Tuscarora lies between major mining trends and gold projects in Nevada, with a signature quite similar to Klondex's Fire Creek—a narrow vein system of a high-grade gold mineralization in the heart of the state. When it comes to gold, grade is king. The Tuscarora project has proven high grades from past and current drilling. Historical results showed intervals of up to 180 grams of gold per tonne over 1.5 meters. Other drill holes have shown grades of 143 grams and 74 grams of gold per tonne over widths of 1.5 meters and 3.1 meters, respectively. The district has already produced gold, with historical production of 204,000 ounces of gold and 7.5 million ounces of silver. American Pacific Mining Corp. (USGD:CSE; USGDF:OTC) moved quickly to expand the Tuscarora project. It increased the number of claims from 24 to 91 and the project area from 447 acres to 1,818 acres. "We know we have something special on our hands," said Smith. Chen Lin, the force behind the newsletter What is Chen Buying? What is Chen Selling?, stated in March, "I discussed [the Tuscarora project] with Quinton Hennigh two years ago. He told me it was a project that he had an eye on for 20 years..."
Nick Hodge wrote in December 2017 in Nick's Notebook: "American Pacific was able to get the project for the bargain price of $375,000 in payments and 800,000 shares over three years." 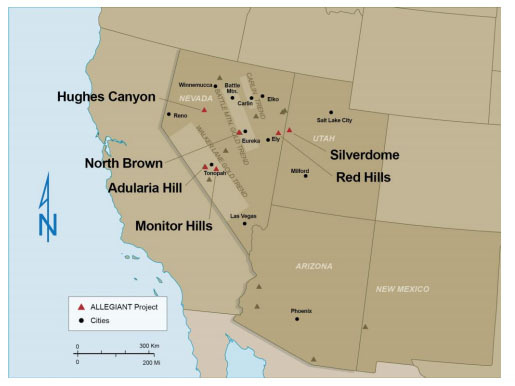 Mike Swanson of Wall Street Window noted in July that American Pacific Mining's "main target is Tuscarora, which is a high grade, early stage gold project located in a prime precious metal district in Nevada…"
The Gecko Investor Group wrote last March that American Pacific is "probably in the world's best place to do mining right now—Nevada." And technical analyst Clive Maund wrote in the fall, "The outlook for the stock could scarcely look better." The market has just come out of the tax-loss selling season, the period at the end of the year when investors may sell shares to realize a capital loss to offset capital gains on other shares. This phenomenon isn't limited to resource stocks, but many are affected. In tax loss season, late November and December, the price of shares of many resource companies tumble, creating a prime and cyclical opportunity to at the start of the new year. Companies such as Group Ten Metals Inc. (PGE:TSX.V; PGEZF:OTC), Silver Bull Resources Inc. (SVB:TSX; SVBL:NYSE.MKT), TerraX Minerals Inc. (TXR:TSX.V) and Metallic Minerals Corp. (MMG:TSX.V) saw their shares fall at the end of the year, only to subsequently recover. American Pacific Mining Corp.'s (USGD:CSE; USGDF:OTC) shares also followed this pattern. Its stock ranged between CA$0.16 and CA$0.075 in the early fall, and then fell to a low of CA$0.04 in December, before recovering to CA$0.10 in January. 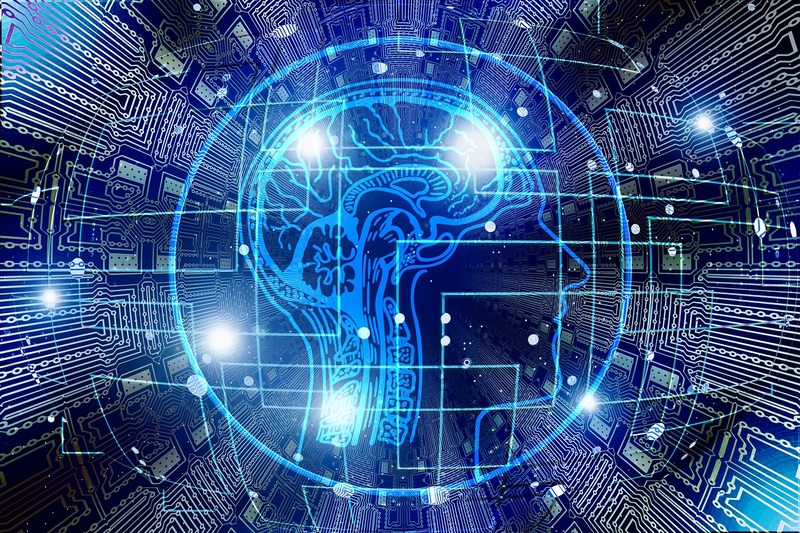 As the mining and precious metals sectors continue to consolidate, six industry experts are keeping their eyes on American Pacific Mining Corp. (USGD:CSE; USGDF:OTC). 2) The following companies mentioned in this article are billboard sponsors of Streetwise Reports: Silver Bull Resources. Click here for important disclosures about sponsor fees. An affiliate of Streetwise Reports is conducting a digital media marketing campaign for this article on behalf of American Pacific Mining. Please click here for more information. 5) From time to time, Streetwise Reports LLC and its directors, officers, employees or members of their families, as well as persons interviewed for articles and interviews on the site, may have a long or short position in securities mentioned. Directors, officers, employees or members of their immediate families are prohibited from making purchases and/or sales of those securities in the open market or otherwise from the time of the interview or the decision to write an article until three business days after the publication of the interview or article. The foregoing prohibition does not apply to articles that in substance only restate previously published company releases. As of the date of this article, officers and/or employees of Streetwise Reports LLC (including members of their household) own securities of American Pacific Mining, Silver Bull Resources and Goldcorp, companies mentioned in this article. I, or members of my immediate household or family, own shares of the following companies mentioned in this article: None. I personally am, or members of my immediate household or family are, paid by the following companies mentioned in this article: None. My company has a financial relationship with the following companies mentioned in this article: None.